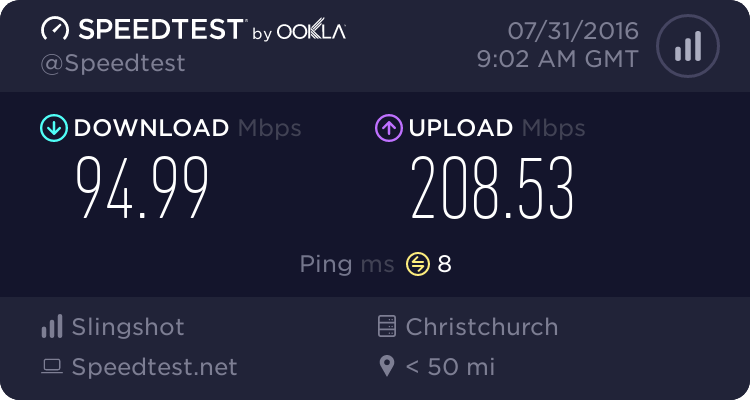 I have a mate that lives onsite at a business and wants to put in his own internet connection as the site sadly only has dial up. The site is in a zone that can do all copper connections don't know about fibre. The business line is telecom so would he be able to get adsl over it under his name with not to much hassell as well? What sort of a business runs on dial-up if it can get xDSL? Sounds archaic. Sideface: What sort of a business runs on dial-up if it can get xDSL? Sounds archaic. One where the person that controls that side of things has Dial Up at home as well and think's that is all everyone needs. Staff usually either use their phones or do what they need to do online at home. Cost saving maybe but the computer is lacking in updates. Lol. Business on dialup. Guess they dont have people emailing them work then. richms: Lol. Business on dialup. Guess they dont have people emailing them work then. You just start the download and walk away, there is only one computer but that is probably because of the lack of internet. in all honesty if i found out a business used dial up i'd take my custom somewhere else. retards. After giving him some options it looks like he has convinced them to move to at least adsl so that will be a vast improvement. 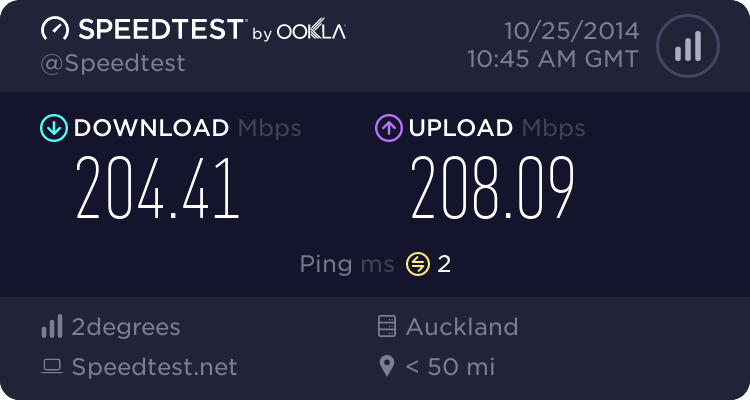 hamish225: in all honesty if i found out a business used dial up i'd take my custom somewhere else. retards. Do they accept credit cards - or is that too new-fangled? The solution woud be if the company got the xDSL service added onto the line and your friend paid them for its use. Not onsite it is just where the work gets done not were the transactions etc happen, main thing that comes through is requests for work, designs on what they are working on etc. He wants me to supply a outdoor wifi solution and i have in my possession a Ubiquiti Bullet2 B/G with a tall omni directional aerial or a Ubiquiti Pico Station M2 B/G/N. Just trying to decide on what one to use. Thankfully they are getting ADSL. Trying to use dialup as an uplink for a Wifi network would be extremely painful. And depending on how they use it. Dialup on a business line could be more expensive than ADSL. Do you still have to pay 4c / min for local calls on Spark (telecom) business lines? Do they have more than 1 line to the site so customers can still call while the dialup is connected? Aredwood: Thankfully they are getting ADSL. Trying to use dialup as an uplink for a Wifi network would be extremely painful. And depending on how they use it. Dialup on a business line could be more expensive than ADSL. Do you still have to pay 4c / min for local calls on Spark (telecom) business lines? Do they have more than 1 line to the site so customers can still call while the dialup is connected? I believe there is a saving by going down the ADSL path as the dial up was charged by the hour, the Wi-Fi will be used for email etc on mobile devices, laptops etc. Don't know the costs calling are or what deal the phone line is on, there is only one line so they miss calls/faxs while on the internet and the good old fashion problem of losing the connection if someone picks up the phone while your on the internet. ?! Stunned that they're still on dialup. How long have they been accessing the internet that way for? quickymart: ?! Stunned that they're still on dialup. How long have they been accessing the internet that way for? I couldn't tell you how long precisely but would be 8 years or longer. I'm just happy we did not have to go down the path to get a second line installed, lucky he found the right person to talk to and it is getting done on the line currently in use. I am sure it will open up more options on what can be achieved at this location with what will now be able to be accessed, e.g design documents, video call's, being able to email instead of Fax stuff, etc. Sounds like quite a strangely run place for it to have taken this long. Do you still have a place to tie the company horse up outside? richms: Sounds like quite a strangely run place for it to have taken this long. Do you still have a place to tie the company horse up outside? That's what happens when people that don't keep up with the tech at home, are not completely open to advice and they don't know what technology can provide at the work place. Its an engineering workshop that only has 3 main staff and other people volunteer on weekends, the equipment worked on is their own so don't need too much info from outside more in ordering stuff and sending out photos etc to get stuff made that can't be done onsite (which was usually done from their phones). People that did not use to work onsite are spending more time there now and that has probably helped to getting minds changed. This has opened it up to other things as well like the possibility of a upgraded phone system VOIP (the old mini PABX still has the NZ Post logo on it) and Security System.